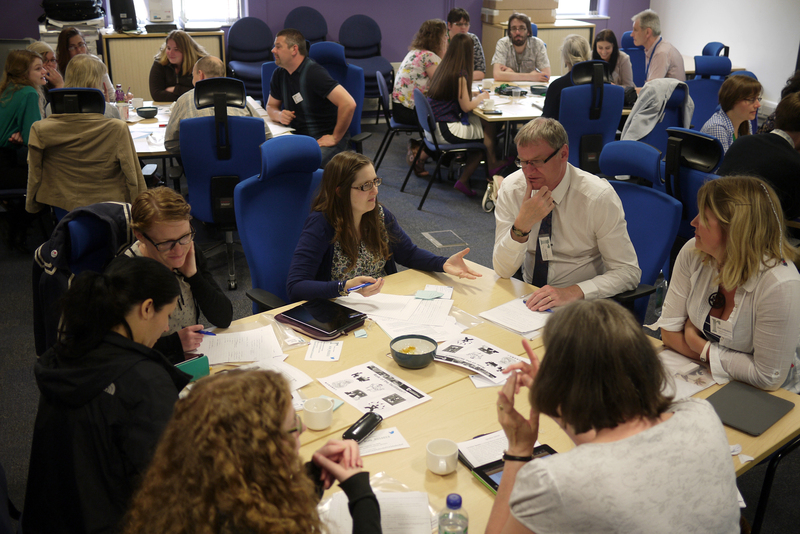 In keeping with its mission to fly the flag for practitioner research, Library and Learning Services (LLS) has this week presented its second biennial Research Summer School. Designed to provide practitioners with the motivation, knowledge and tools to conduct effective research projects, the two day event was aimed at staff in libraries and learning services who were new to research or wanted to brush up on their research skills. Through a mix of talks, practical activities and networking opportunities, the event was a great opportunity for delegates to kick start their own research projects and share their research challenges with others in similar positions. In a filled-to-capacity TPod, some 32 attendees (including nine external visitors) heard presentations from five fantastic speakers: Carolynn Rankin (What is practitioner research and how can we generate research ideas with impact? ); Dr Rachel Maunder (Focus groups and semi-structured interviews); Rebecca Schneider (Questionnaire Surveys); Professor Jackie Campbell (Quantitative data analysis) and Dr Adair Richards (Writing up your research). The programme was developed in consultation with LLS colleagues and emphasised some of the practical challenges of running effective and credible research projects. Most sessions were highly interactive and the audience were very willing participants. In addition, each session saw a practitioner researcher from LLS contributing a five minute chat about their own research experience. This not only grounded the learning in our own day-to-day work, but the ‘warts and all’ approach taken by most of these practitioners was extremely reassuring to those new to research. With two Research Summer Schools and a highly successful research conference under its belt, LLS at the University of Northampton is building a solid reputation across the sector for its efforts in creating a research culture and its use of research in informing practice. LLS staff routinely undertake research projects before implementing new services, often in conjunction with academic colleagues from across the University. We are always open to new collaborations so if you have a project in mind then please do get in touch. Posted on June 21, 2013, in Events, Library and tagged library, Library and Learning Services, training. Bookmark the permalink. 1 Comment.